Lake front home in desirable & conveniently located Arbor Lake! Enjoy your own "staycation" in this resort style atmosphere! 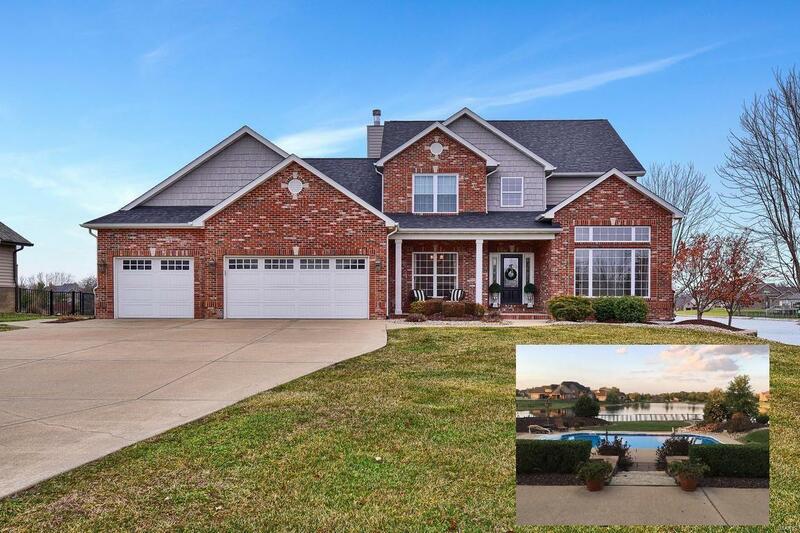 Beautiful 5 bed/5 bath home offers many spectacular features! Two-story great room features wall of windows w/gorgeous lake views & a floor-to-ceiling stone fireplace w/built-ins. Fabulous kitchen offers staggered, custom cabinetry, subway tile backsplash, large island, pantry, stainless appliances etc & butler's pantry & opens to cozy hearth room w/2nd fireplace. Main floor master suite boasts a spacious walk-in closet, en suite bath & French doors leading to backyard/pool. 2nd floor has 3 addtl bedrooms (1 w/private bath), Jack&Jill bath & large bonus room. Finished lower level offers 5th bed, rec room, full bath, family room & additional storage space. Plenty of opportunities to relax & entertain! Backyard boasts saltwater pool/16'x34' & 3'-8' depth (new liner 7/18), patio, firepit area, & plenty of yard space-all w/gorgeous views of the lake!